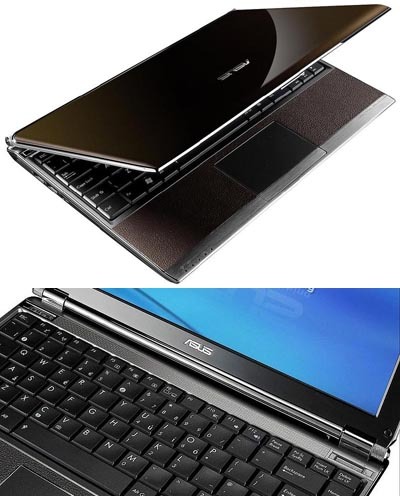 For those who have been amazed by netbooks out there, then it may amaze you once more that ASUS has a new release and it is dubbed the S121. It’s said to be different from the PC Eee S101. Therefore, it is a different model. Nevertheless, it has the same features regarding its casing but has a different size which comes at 12 inches. One of its good features is that the 12.1 inch LCD display is composed of Swarovski crystals which has a display resolution of 1280 x 800 and a comfortable palm rest made of leather. Moreover, it has a processor of Intel Atom (Menlow) Z520. For its specifications, it can run using operating systems like Windows XP, Vista Home Basic and GNU Linux. In addition to that, it has an Express Gate ASUS’s Splashtop for a quick boot environment. It also has a 1.3 megapixel webcam and a 802.11 b/g/n wireless. Also, its main memory is composed of DDR2 533 megahertz 1 x SODIMM of up to 2 gigabytes. It has a Wifi 802.11n, LAN and bluetooth capability. It can also support external drives. On a personal note, we know that the ASUS S121 is as astounding as it can be since it has a whopping 250 gigabytes worth of memory storage. Coupled by the fact that you can use a 512-gigabyte Solid State hard drive for those who are always on the go, like business people and such. The ASUS S121 has a dimension of 29.7 x 29 x 0.23 to .026 centimeters. It weighs at about 1.45 kilograms, inlcuding the 4-cell polymer battery. Since it has been released recently in January 2009, its price is yet to be announced.